It's Northcott's Stonehenge's 10th Anniversary, and they are celebrating big time! With multiple contests, there are lots of opportunities to win some big prizes, and have your work seen by the masses! Check out this video for more info: Stonehenge Anniversary Block Party Info. This is Quilt Basket's exclusive block created for the event. 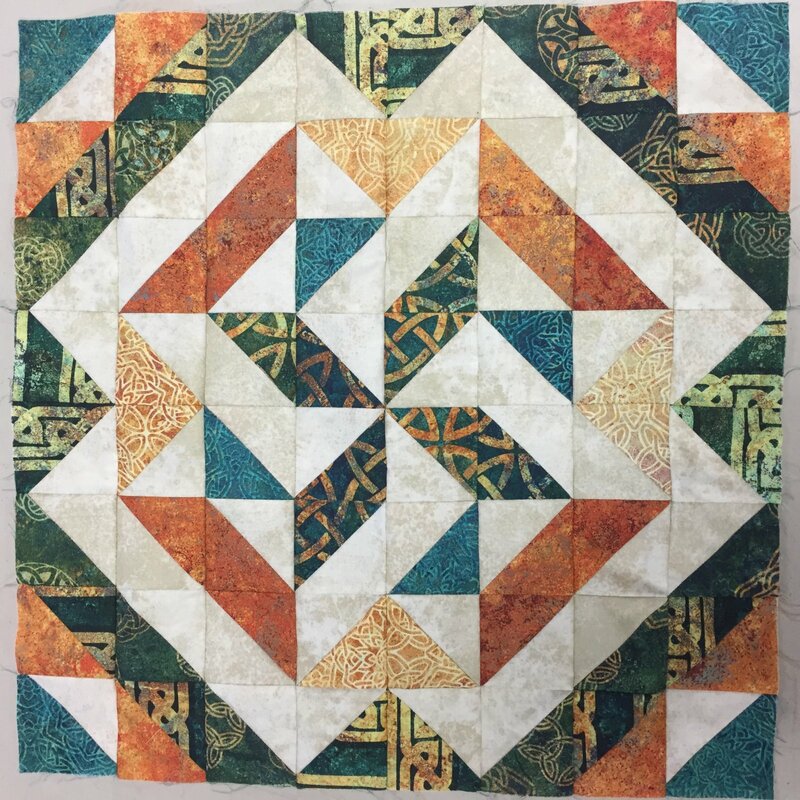 Our kit includes the pattern and fabrics needed to create this 18" square block. All fabrics meet the qualifications for the Stonehenge Anniversary Block Party contests.